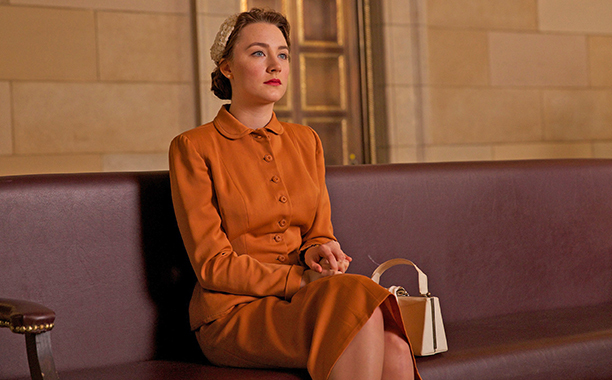 1/17/2016: Having a brain lapse and believing/wanting the costume design for Brooklyn to be nominated I reposted this a few minutes ago. They were not nominated but Congrats to Costume Designer Odile Dicks-Mireau anyway. They should have been. This post from December 29th looks at how she recreated the 1950’s look. 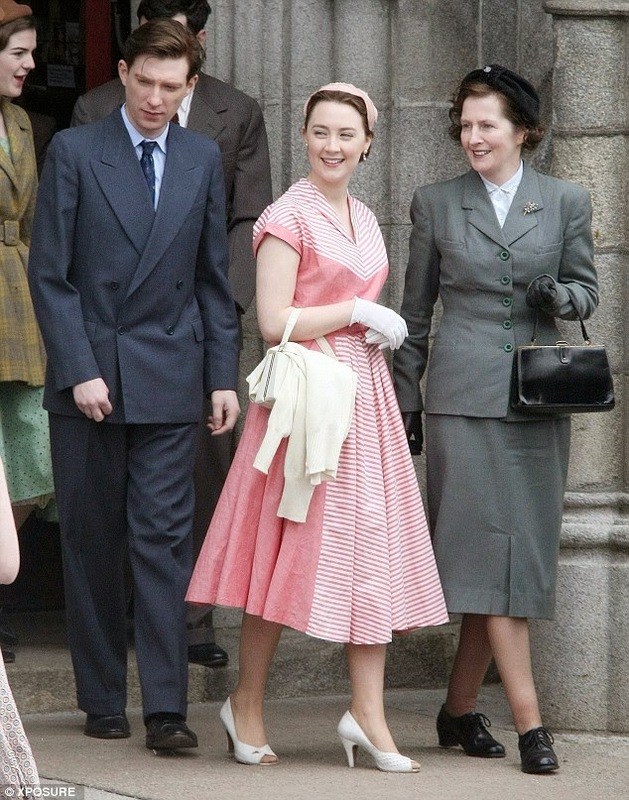 I fell in love with the costume design for Brooklyn since my first sighting of Saoirse Ronan in a period perfect pink dress back in April of 2014! Costume designer Odile Dicks-Mireaux, who also did the wardrobe for An Education and One Day told Variety that the story of Brooklyn mirrored her parent’s 1950’s move from France to England, so while she studied period photo archives, she also watched her parents’ home movies and rifled through their old photographs, noting the abundance of women wearing flats, and the cut of her own father’s suit. 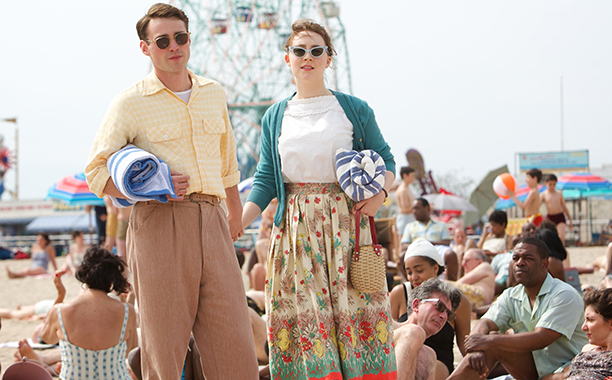 For the scenes set in New York, Dicks-Mireaux was inspired by photographer Vivian Maier’s late-’40s New York street scenes. In the film New York is presented with strong patterns and bold colors, like that striking pink-striped dress Eilis wears. For the part set in Ireland, she studied collections of Irish social life. Just from the clothing Eilis wears when she goes home to Ireland, it’s clear as day she can’t stay. The colors, the cut, everything about her says she no longer belongs in Ireland, she has to return to Brooklyn, her new home. While I get a kick out of sharing costume designer sketches paired with their cinematic creation like I did with the wardrobe created for The Danish Girl Dicks-Mireaux was forced by the tight budget to find, rather than design, the characters clothing. 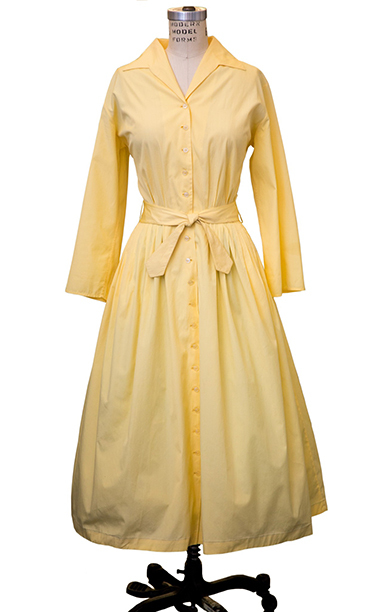 Instead she scoured vintage shops and costume rental houses, making size and color adjustments as needed. 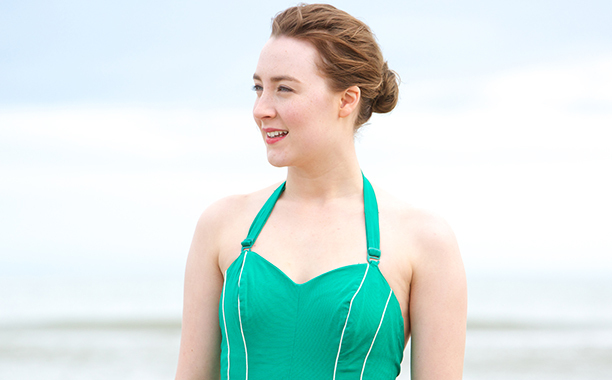 Director John Crowley decided during pre-production that actress Grace Kelly would be a reference in creating Eilis’s “natural, graceful” style, shares Dicks-Mireaux. The costume designer also settled on another reference early in the pre-production process: her mother. I absolutely loved this movie! The results of Odile Dicks-Mireaux’ attention to details are as period perfect as those of the more acclaimed Sandy Powell for Carol which we’ll take a closer look at later this week. In the meantime here’s the image gallery for that film where Powell’s work is on view. I’m guessing they’ll both be in the costume design awards conversation. All images by Kerry Brown.